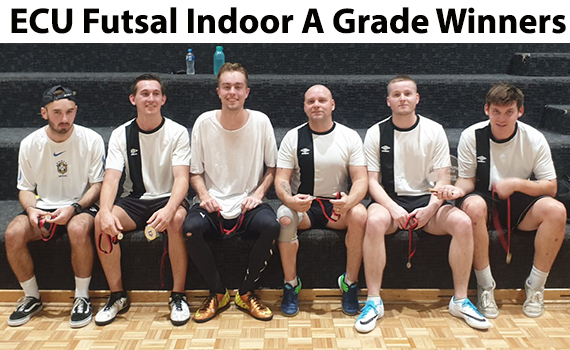 The latest ECU indoor Futsal tournament came to an end last week with the finals taking place. Below are the Grand Final results and winners of the awards from the competition – Thanks to Jimmy Carvalho for his work in organizing the competitions. 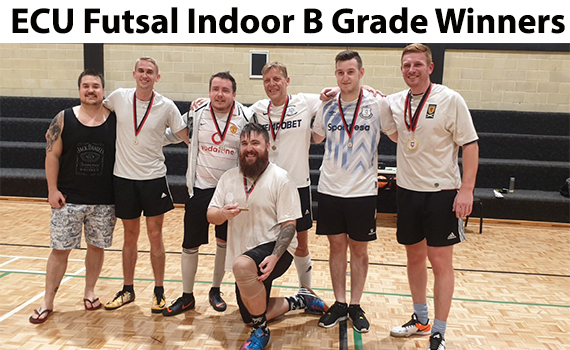 B Grade: Tanaka from Any Hole’s A Goal. Player of the match: Ritchie from Blowins. We Don’t Give A Fook 4 vs D-ream Team 3. Player of the match: James from We Don’t Give A Fook. Thanks again to you all for your support and good sportsmanship. Enjoy the two weeks break and looking forward to another great season starting May 2nd.